In a patient with suspected meningococcal disease, diagnosis can be made by using microbiological culture of blood, cerebrospinal fluid, or aspirates from the hemorrhagic rash. Sensitivities of approximately 30% have been reported for diagnosis by blood culture. These low levels of diagnostic sensitivity may be related to collection of blood and cerebrospinal fluid (CSF) after the first dose of antibiotics has been administered, as meningococci are rapidly killed following a single dose of intravenous penicillin. In the United Kingdom and some countries in Europe, antibiotics are given in primary care to reduce the potential for deterioration of the patient's condition during transport to the hospital. 95 children with probable meningococcal disease, 82 (88%) had a positive PCR, whereas 32 (33%) were culture-positive. 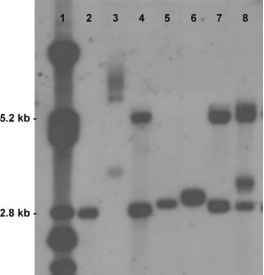 No false negative PCR results were obtained with this protocol because all culture positive cases were confirmed by PCR. False negatives were observed in a previous ctrA PCR assay using different oligonucleotide PCR primers on serum or plasma samples.1-4-1 Whereas false positive results have been observed in an assay based on the IS1106 insertion sequence,1-5-1 which may be found in other microorganisms, no false positives have been observed to date with the ctrA PCR assay.